Many of us missed out on the 1994 first edition of “The Tool Chest of Benjamin Seaton”, only to see used copies go for $125 or more. The Tools and Trades History Society has published an expanded 2nd edition that you can purchase at Tools for Working Wood ( www.toolsforworkingwood.com). The Seaton Chest represents a cabinetmaker’s set of 200 tools from the 18th century. This is an excellent resource for those us who collect tools and have been working on assembling our own set. The 2nd edition includes expanded research from the folks at Colonial Williamsburg as well as dimensional details of many of the tools. Those of us who attended the 2008 woodworking symposium at Colonial Williamsburg were able to get drawings of the chest. This edition includes that same material allowing you build a replica chest and many of the tools included. The saws from the original chest are available as reproductions from Wenzloff & Sons (www.wenzloffandsons.com). In the photo above is a picture of one of available dovetail saws. 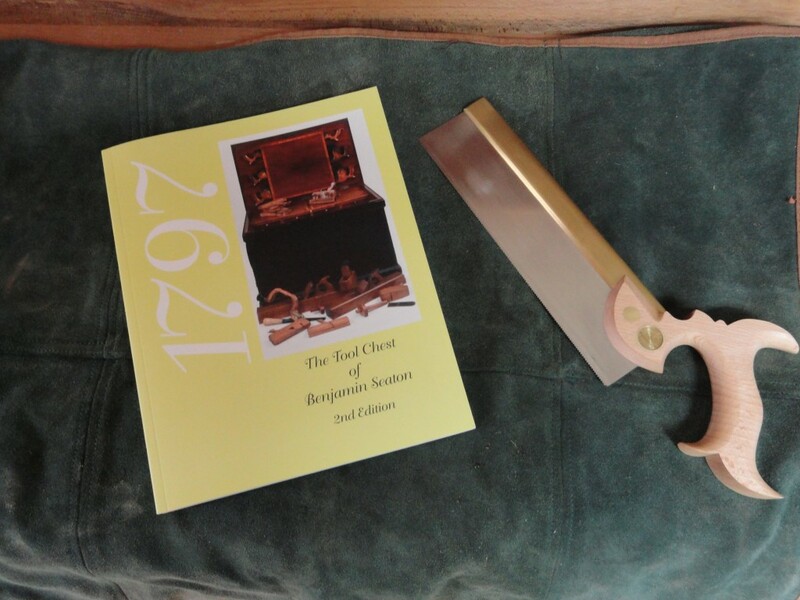 Anyone working on building a complete set of 18th century tools for woodworking would appreciate and should own this book. This entry was posted in Using Hand Tools and 18th Century Methods by John Deming. Bookmark the permalink.